The New Year is a time of to reflect on what has passed and to look ahead to the opportunities to come. 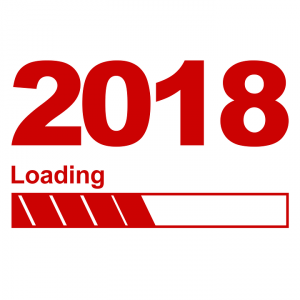 Here we take a look back at 2017’s highlights, month by month, and what we are looking forward to in 2018. The World Bank in its Global Economic Prospects report stated that the Ethiopian economy was set to be the most expansive in Africa for the year 2017, with a projected growth of 8.3%. By contrast, global growth was projected to be 2.7%. The accelerating growth comes on the back of government spending on infrastructure, such as the industrial parks. Similarly, an International Monetary Fund (IMF) report said Ethiopia has overtaken neighbouring Kenya as East Africa’s economic giant, with an annual GDP for 2017 expected to hit $78 billion. 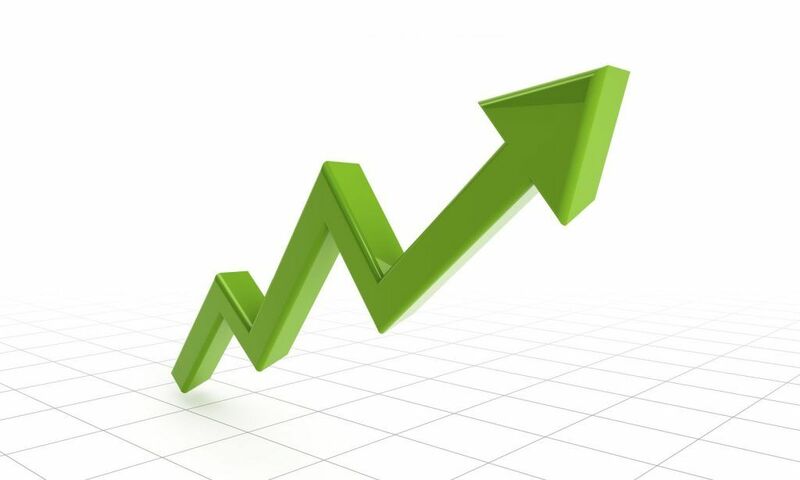 In monetary terms, Ethiopia has opened a gap of about $29 million over Kenya, the report said. 2017 also saw the ushering in of Industrial Parks, in line with Ethiopia’s second Growth and Transformation Plan, which sets out to transform the industrial sector by building more Industrial Parks and new Integrated Agro-Industrial Parks (IAIPs) around the country. In its move towards becoming an industry-led economy, Ethiopia is attracting both foreign direct investment and Private Equity investment. These Industrial Parks are transforming the economy and have made Ethiopia a strong contender for becoming a manufacturing hub in Africa. 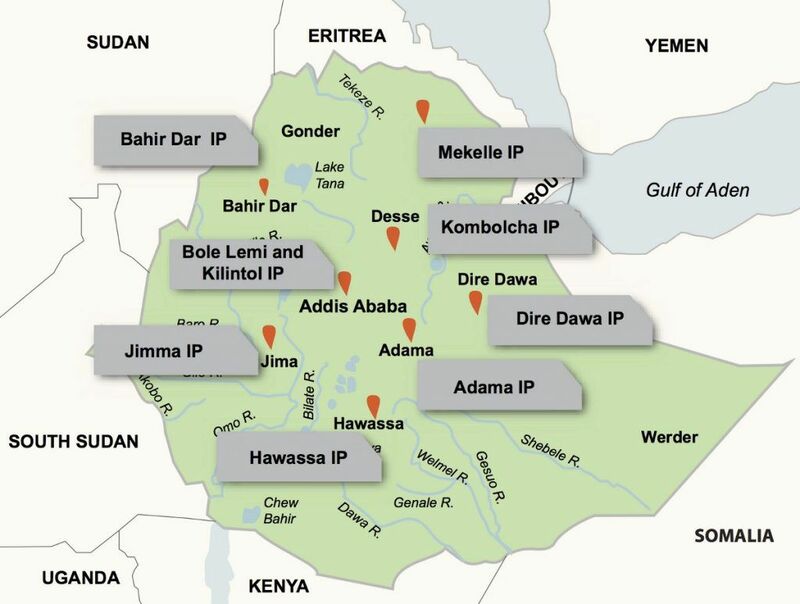 Ethiopia plans to increase the number of industrial parks to 15 by June 2018 as part of its efforts to boost manufacturing and exports, creating hundreds of thousands of jobs for locals as well as refugees, along the way. Major European brands such as H&M are already sourcing garments from Ethiopia. Massive infrastructure projects have also come to realisation, linking Ethiopia up with neighbouring countries and beyond with new roads and railways. Ethiopian Airlines now links Ethiopia to more than 100 countries around the world. It received numerous awards last year, including being named top African airline of the year and gained 4-star rating from Skytrax. Although achievements were registered in 2017, Ethiopia still faces challenges, including misuse of public office, corruption and lack of transparency and accountability. The result is that development has not benefited all members of society; many women and young people in particular have felt excluded. As a result, legitimate public grievances in 2016 led to a spate of demonstrations around the country. The government is working hard to resolve these issues and has made assurances that it will continue its expansive consultations with the public to address governance issues, broaden the political space and foster more inclusive development. Ethiopia’s relations with the United Kingdom continued to prosper during 2017 with various ministers including the former Africa Minister, Rory Stewart MP; Foreign Minister Boris Johnson MP and the Prime Minister’s Trade Envoy for Ethiopia, Jeremy Lefroy MP, making their debut visits to the country. Dr Liam Fox, Secretary of State for International Trade, made a second visit to Ethiopia. Their visits have seen bilateral co-operation in development, promoting trade and investment and job creation, education, the environment and of course, helping to ensure peace and stability and fighting terrorism in the Horn region. 2017 kicked off with Ethiopia commencing its two-year term as a non-permanent member at the United Nations Security Council, led by Ambassador Tekada Alemu. This is Ethiopia’s third term: the two previous ones being 1967-1968 and 1989-1990. Back in London, we started off the year with H.E. Dr Hailemichael Aberra Afework making his debut trip to Wales as Ethiopian Ambassador to the UK. The visit was aimed at promoting Ethiopia’s image and investment potential, as well as establishing partnerships with a range of institutions. The delegation met with the First Minister of Wales the Rt. Hon. Carwyn Jones AM, representatives from the University of South Wales and Cardiff University and with members of the Ethiopian Diaspora. General refurbishment and maintenance works of the Embassy building began on 8th February, with the expected completion date of March 2018. We hope these extensive renovations will restore the building to its old standard and also modernise it, to provide the very best experience to our valued visitors and staff. 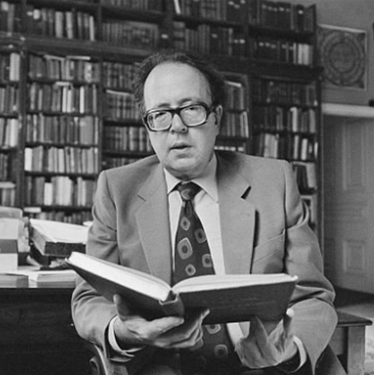 Ethiopia lost its greatest friend following the passing of the great Ethiopianist and historian, Richard Keir Pethick Pankhurst OBE, who died in Addis Ababa on 16th February, aged 89. In common with his mother, Sylvia Pankhurst, who died in Ethiopia in 1960, Richard was honoured with a state funeral, on 21st February, at the Holy Trinity Cathedral in Addis Ababa, where dignitaries and patriotic Ethiopians are laid to rest. Richard will be remembered for his lifelong service and for his great respect for the history of Ethiopia. 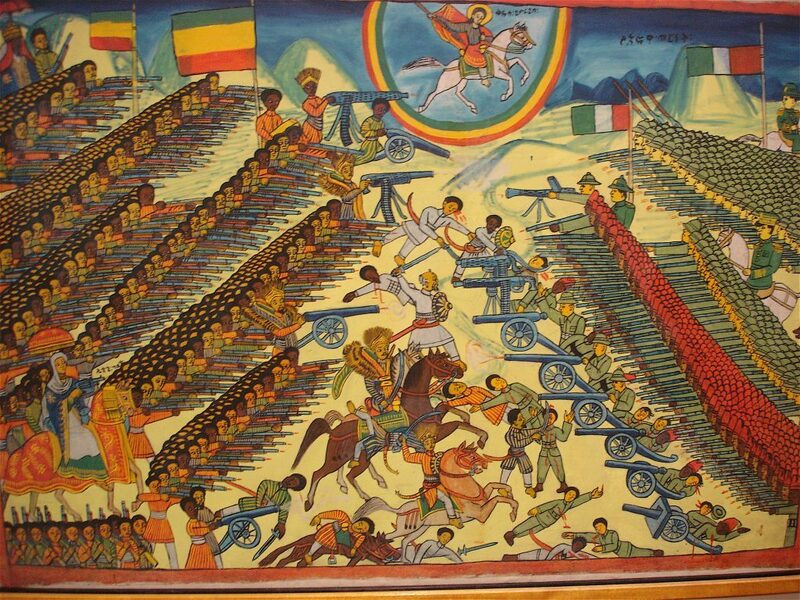 On 2nd March, the 121st anniversary of the Victory of Adwa was commemorated in Adwa, Tigray Regional State – the very site where Ethiopians defeated the Italian invading army on 1st March 1896. An Embassy delegation, led by Ambassador Hailemichael, travelled to Scotland in early March with the aim of promoting partnership and investment opportunities to government officials, investors and universities and to the Ethiopian diaspora in Scotland, who were briefed on the role they could play in the overall development activities of the country. Three days of national mourning began on 14th March following the tragic landslide at Koshe landfill near Addis Ababa on 11th March. More than 100 people lost their lives and dozens were injured. More than $4 million was distributed to the victims, raised through a combination of private and government donations. The Foreign Secretary of the United Kingdom, the Rt Hon Boris Johnson MP, made his debut visit to Ethiopia on 16th March, as part of a three-day tour of East Africa and met government officials including Prime Minister Hailemariam Dessalegn and Foreign Minister Dr Workneh Gebeyehu. 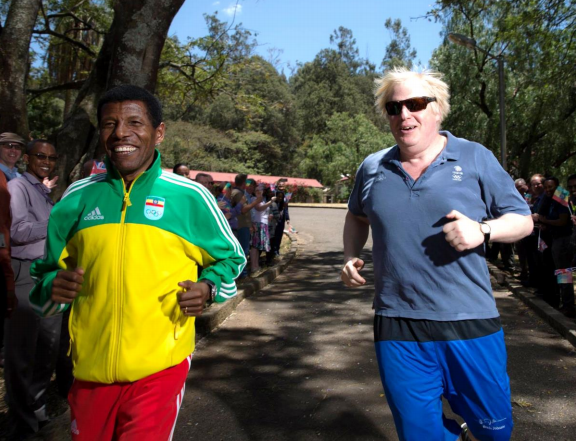 While in the country, Mr Johnson saw great examples of the ever-increasing cooperation between Ethiopia and the United Kingdom. 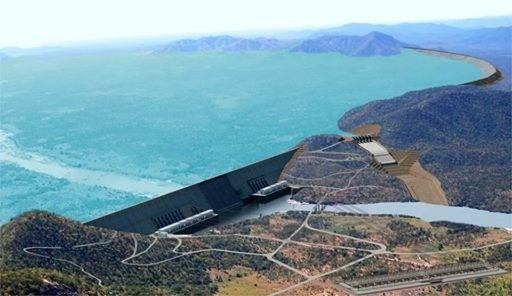 The 6th anniversary of the commencement of construction of the Grand Ethiopian Renaissance Dam (GERD), was commemorated across Ethiopia. The late Prime Minister, Meles Zenawi, laid the cornerstone on 2nd April 2011, with the aim of eradicating poverty and ensuring cooperation through the development of natural resources. The late PM said, “the project takes pride of place, representing an incomparable addition to our national plan for expanding power production”. Earlier, the installed hydropower generation capacity of the GERD was increased to 6,450MW, following generator upgrades. Initially designed to generate 5,250MW, with the power plant upgrades, the dam’s generation capacity was raised to 6,000MW. Six years later, the capacity was increased by an additional 450MW. The generation capacity now matches those of Tekeze, Beles and Gibe-II hydropower plants combined. 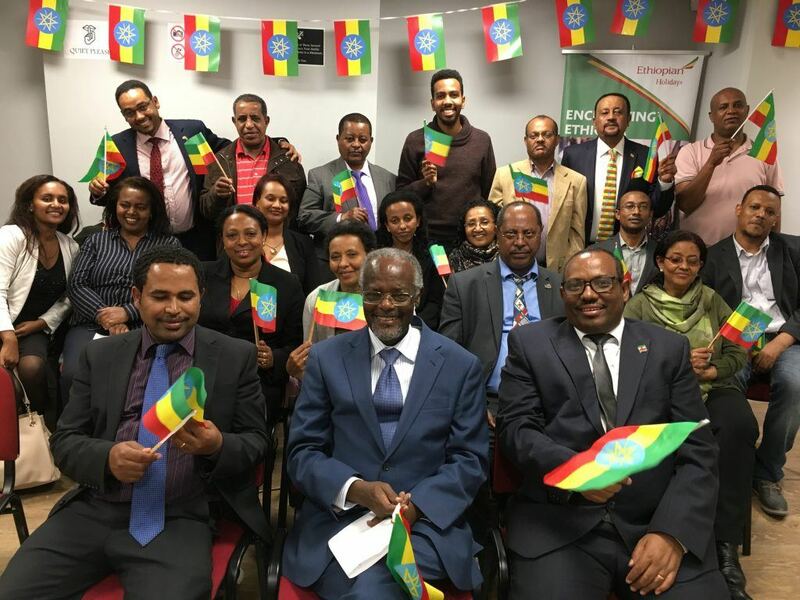 Ethiopia’s Victory Day (National Day) and the 6th anniversary of the Grand Ethiopian Renaissance Dam (GERD), were both celebrated in the presence of more than 500 members of the Ethiopian diaspora, Diplomats and invited guests in London on 6th May. Back in London, PM Hailemariam and the First Lady attended the Somalia Conference, which was held to accelerate progress on security sector reform, build on the international response to the ongoing drought and humanitarian crisis, and agree the new international partnership needed to keep Somalia on course for increased peace and prosperity by 2020. 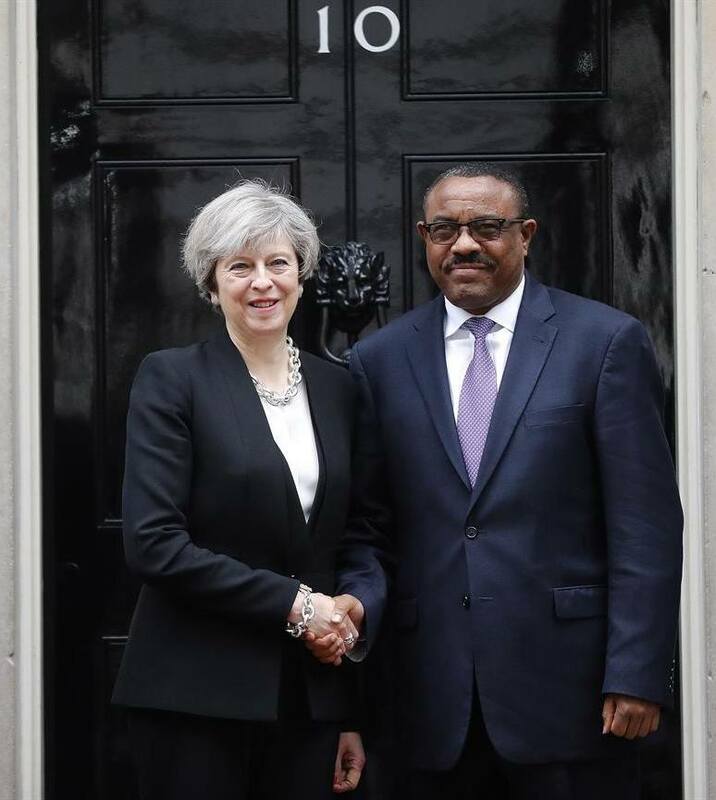 On the margins of the conference, PM Hailemariam met with Prime Minister Theresa May to discuss bilateral, regional and global matters of common interest. PM Hailemariam welcomed the support the UK has provided to Ethiopia’s development which, he said, had helped lift millions out of poverty. PM May highlighted the compact agreement – creating jobs for refugees [in Ethiopia] – as an example of Ethio-UK constructive partnership. 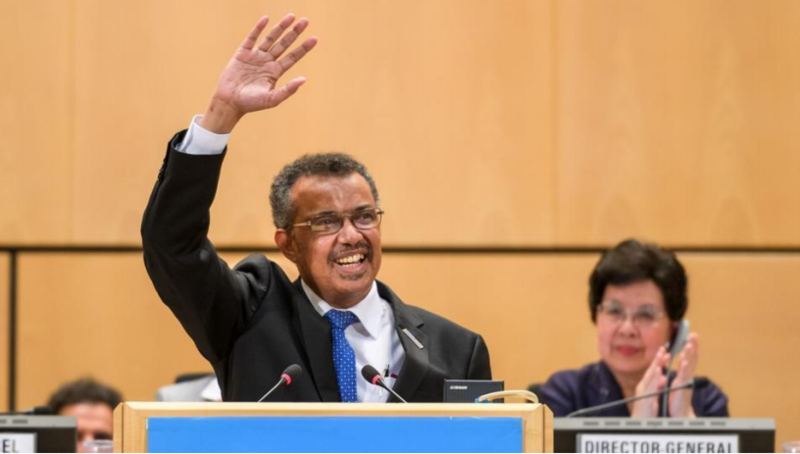 After months of campaigning all over the world and three rounds of secret-ballot voting by member states, Dr Tedros Adhanom Ghebreyesus, Ethiopia’s former Minister of Foreign Affairs and of Health, was elected to serve as the next Director-General of the World Health Organisation (WHO), becoming the first African man to lead the global health body. This was also the first time that WHO Member States at the World Health Assembly selected a Director-General from among multiple candidates. 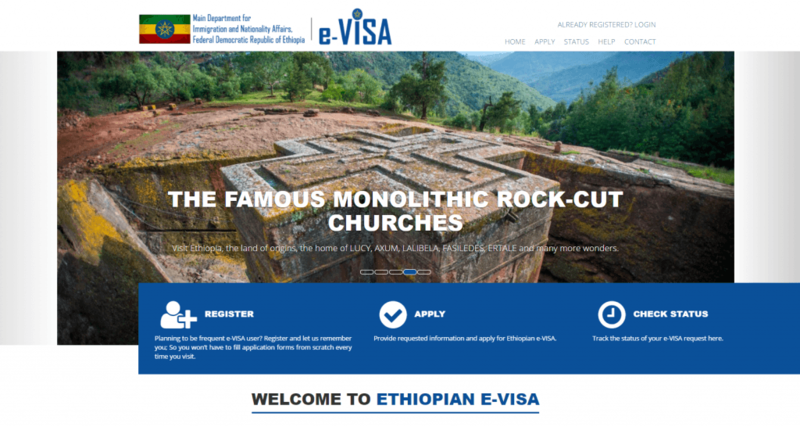 Travel to Ethiopia was made easier on 12th June with the launch of the first phase of e-Visa services for tourists to Ethiopia. Tourists from certain countries are now able to have their visas processed and issued online. From 20th September, the e-Visa service was extended to participants of meetings, incentives, conferences and exhibitions (MICE). Ethiopia’s National Day was celebrated in London on 20th June at the prestigious Royal Garden Hotel in Kensington in the presence of a wide range of guests from diplomatic missions, the foreign office, parliamentarians, investors, members of the diaspora and friends of Ethiopia. In his speech to mark the occasion, the Ambassador recalled that diplomatic relations outlined the colossal changes that have taken place since the fall of the Derg regime in 1991 – how 80 plus nations and nationalities now have their rights guaranteed, the advantages of the federal system and regular elections, with women participating at every level. The Ministry of Culture and Tourism said $3.3 billion was earned from tourists from all over the world including Europe, North America and Asia. As part of the government’s activities to increase the income generated from the sector, expansion of infrastructure at tourist sites is underway. For the current fiscal year, Ethiopia plans to earn $7 billion from the sector by attracting 2 million tourists. On 4th August, the State of Emergency that was declared in October 2016 following the unrest that occurred in some areas, was lifted. Secretary of the Command Post, Siraj Fegessa, said that the peace and stability situation in the country had shown tangible improvements and any challenge at present were not beyond the controlling capacity of the respective regions in the country. 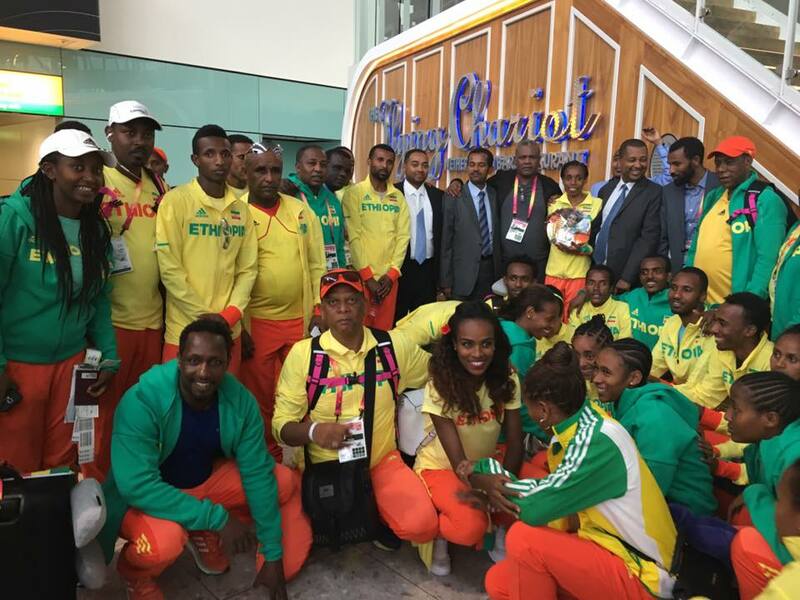 From 4th to 13th August, a 40-member team represented Ethiopia at the IAAF World Championships in London. Notable athletes such as the Dibaba sisters (Tirunesh and Genzebe), Almaz Ayana, Muktar Edris, Mohammed Aman and other younger aspiring athletes took centre stage at the Queen Elizabeth Olympic Stadium in front of a record number of spectators. Ethiopia’s medal haul kicked off with an Ethiopian 1-2 in the women’s 10,000m final, which saw Almaz Ayana secure the gold medal in style, finishing around 300 metres clear of her rivals, in what was her first race of 2017. But the highlight of the 10-day tournament was perhaps the 5,000m final where 23-year old Muktar Edris ended Mo Farah’s dominance of the distance. Team Ethiopia finished seventh in the medal table with 5 medals, two gold and three silver. 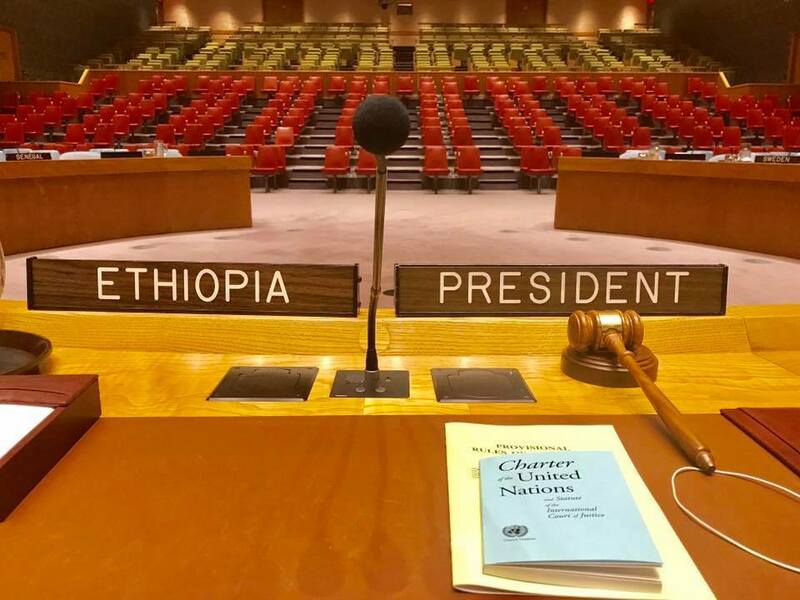 Ethiopia successfully concluded its month-long presidency of the United Nations Security Council (UNSC), which began on 1st September. One of Ethiopia’s priorities during its membership of the UNSC was to strengthen the partnership between the UN and the African Union in the area of peace and security, and during its presidency this issue was highlighted. The highlight of the Ethiopia’s Presidency was the High-Level Open Debate on the Reform of the UN Peacekeeping Operations, held on 20th September, chaired by PM Hailemariam. The debate focused on recommendations from the previous Secretary-General and on the reform process initiated by the current Secretary-General. All 15 countries of the Security Council unanimously backed the resolution on UN Peacekeeping reform, urging higher efficiency of peacekeeping operations, including through more thorough planning. Ethiopia started its New Year 2010, Enkutatash, on 11th September with celebrations across the country. Various events were organised at national level for 10 consecutive days (from 1st September) to welcome the New Year. 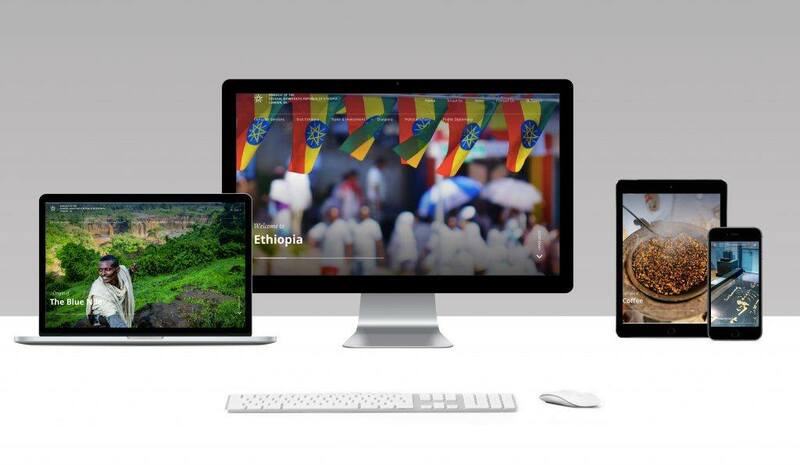 To coincide with Ethiopian New Year, the Embassy launched its new look website as part of the Embassy’s Digital Diplomacy Strategy, which focuses on engaging new audiences, while continuing to develop high-quality digital experiences for our current audiences. The website is now more user and mobile friendly. The British Prime Minister’s newly appointed trade and investment envoy to Ethiopia, Mr Jeremy Lefroy MP, made his first official visit to Ethiopia from 21st to 22nd September where he met senior Government officials. He discussed areas where the UK and Ethiopia can deepen their trade and investment relationship. On 16th October, staff at the Embassy, led by Ambassador Hailemichael, observed the 10th National Flag Day – a day celebrating the mutual respect and unity of Ethiopia. 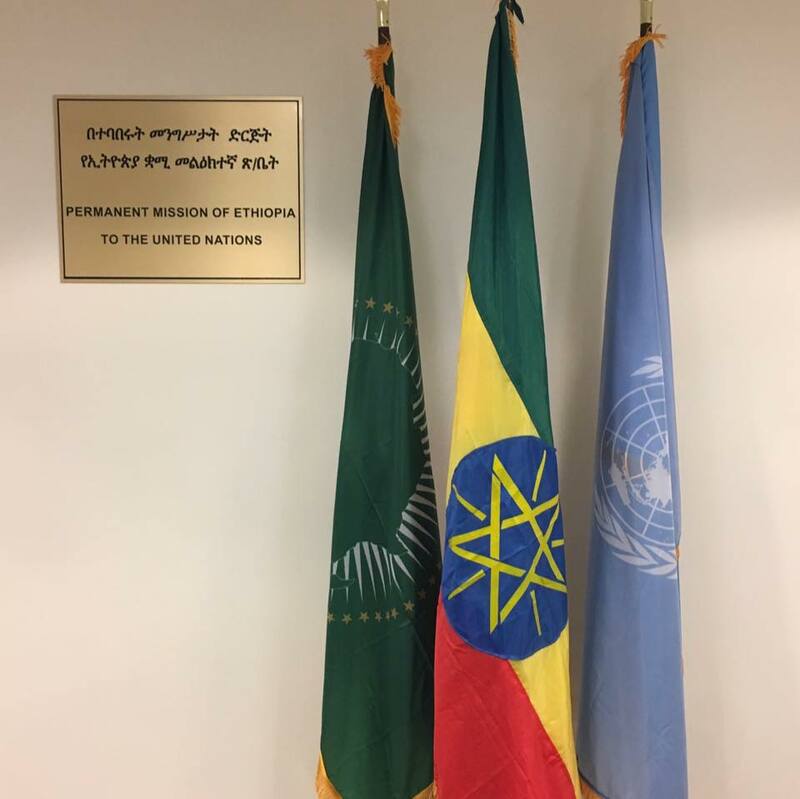 The day was observed under the theme: “Inspired by a vision, we are determined to intensify our triumphs” with Ambassador Hailemichael urging embassy staff to redouble their efforts to contribute to the realization of Ethiopia’s vision. From 27th October, all refugees in Ethiopia can register their vital life events, including birth, death, marriage and divorce, directly with national authorities. This was an historic first and a ground-breaking development for refugee protection in Ethiopia, not previously realized over decades. H.E. Dr Negeri Lencho, Minister at the Government Communications Affairs Office, led a delegation consisting of representatives from the federal and Addis Ababa City Administration, private media, and Addis Ababa University on a visit to the UK and held discussions with institutions that are engaged in media and communications. The main aim of the visit was to learn how best to manage public and private media and community broadcast media, including social media. An Ethiopian Tourism Delegation, led by the new Culture and Tourism Minister, H.E. Dr Hirut Woldemariam, attended the World Travel Market (WTM), showcasing Ethiopia’s tourism potential to more than 40,000 visitors. The stand attracted a record number of visitors this year and Ethiopia was greatly honoured when Rwandan President, H.E. 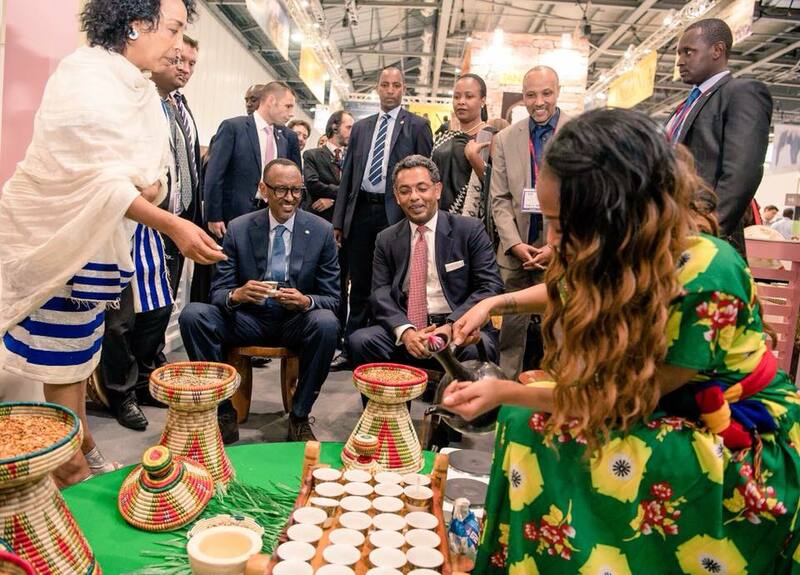 Paul Kagame, dropped by to enjoy the Ethiopian coffee ceremony. Africa’s largest airline group, Ethiopian Airlines, was awarded Skytrax 4-Star certification at a special ceremony, hosted by the Ethiopian Embassy, in London on 8th November. Ethiopian Airlines now joins the likes of British Airways, Qantas and Emirates as a global 4-star player in the international airline arena. During a visit to Ethiopia, the British International Trade Secretary, Dr Liam Fox announced that the UK has doubled the amount of export finance it is making available to support UK-Ethiopia bilateral trade. An additional £100 million is available in support – including insurance and lending – for UK companies exporting to Ethiopia and for Ethiopian buyers of UK goods and services. Following on from the civil registration for refugees in October, the Government of Ethiopia formally launched a refugee integration program – the Comprehensive Refugee Response Framework (CRRF) – on 28th November, effectively paving the way for the implementation of the nine pledges it made at the Leaders’ Summit on Refugees in September 2016 in New York. Through the pledges, which serve as a vehicle for implementing the CRRF in the country, Ethiopia seeks to promote refugees’ self-reliance through an improved and sustainable response that combines wider support to host communities, furthering peaceful coexistence and inclusion of refugees into national development plans. More than 350 Ethiopians representing many of the ethno-linguistic groups in the country, celebrated the 12th Nations, Nationalities and Peoples Day. IMF Chief, Christine Lagarde made an historic visit to Ethiopia from 13th to 15th December, to discuss ways to further strengthen the partnership between Ethiopia and the IMF. Ms Lagarde is the first IMF head to visit Ethiopia in the IMF’s 72-year history. Two agreements worth $4 billion were signed to build two geothermal power plants, to be run by Ethiopia’s first privately-owned utility. Corbetti and Tulu Moye – will add an additional 1,000MW of power to Ethiopia’s grid upon completion in eight years’ time. Studies show that Ethiopia has an estimated 10,000 MW of geothermal energy potential. Ongoing evaluation of the country’s situation concluded that the government must redress the challenges and meet the promise of full development made to all Ethiopians, by engaging in a deep renewal process, responsibility for which lies with the leadership. The government announced that some politicians currently facing prosecution and some of those previously sentenced, will either have their cases annulled or be pardoned. Those released would be allowed to participate in a national dialogue to “widen the political space”. A lot remains to be done and the government is committed and determined to bring the objectives of Ethiopia’s renaissance to a successful conclusion and determine a bright future of the country. Building on Ethio-UK’s century-old history, in 2018 the Embassy will seek to strengthen these excellent relations in all domains – diplomatic, political, economic, social, cultural and educational. We also aim to continue to engage with the Ethiopian diaspora in the UK, encouraging and mobilising them to continue supporting Ethiopia’s development activities. The economy is set to continue to grow in 2018. The government will put emphasis on making Ethiopia one of the top destinations in Africa for Foreign Direct Investment and Tourism. 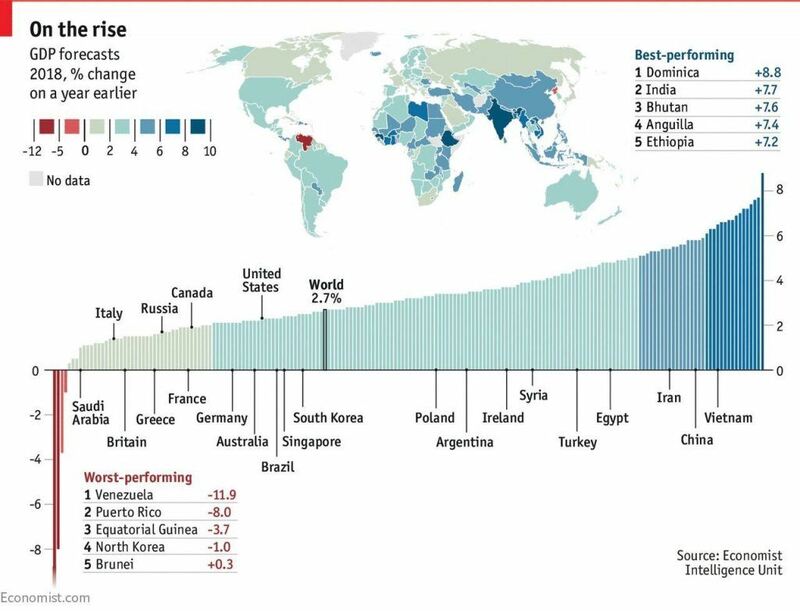 Forecasts from the World Bank and the Economist Intelligence Unit have already projected that Ethiopia will remain one of the fastest growing economies in the world, the fastest within the Eastern Africa region. More industrial parks will come to fruition meaning hundreds of thousands of additional jobs will be created for the growing population. In short, an ongoing insistence on fair, wide-ranging development will benefit all Ethiopians, who can look forward to an ever-brighter future.